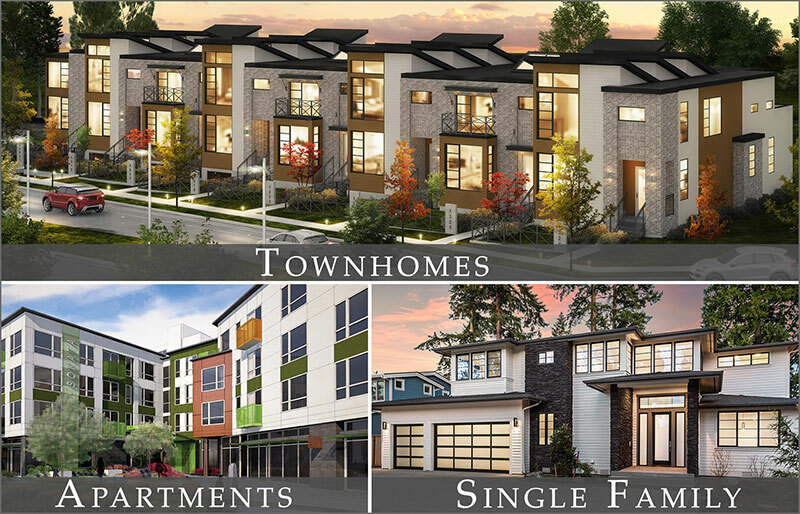 Description: 3 Fresh New Modern Townhomes, Charming Walk-able Downtown Issaquah Location. Open-Concept Layouts, Chef’s Kitchens, Roof-Top Terraces, and much more! Description: 6 Modern Luxury Townhomes, Walk to Shopping, Dining, & Elementary School. Roof-Top Terraces, Chef’s Kitchens, BDR Signature Luxury Features, and much more! Description: 15 Fresh New Farmhouse Style Townhomes, Walk-able Downtown Issaquah Location. Private 2-Car Garages, Roof-Top Terraces, Chef’s Kitchens, and much more! Tell us about your Issaquah land opportunity!